Info:Townhome located at Emerald Island. Sleeps 6 people in comfort. Set in the midst of a conservation area less than 4 miles from Disney, Emerald Island Resort is a gated community constructed in 2002. 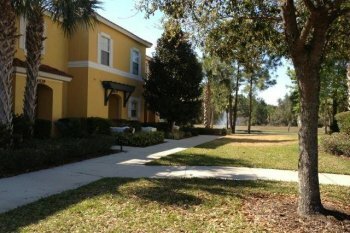 It is one of Orlando's finest vacation resorts consisting of luxury pool homes and town homes. We can offer you a range of properties from 3 & 4 bedroom town homes through to 7 bedroom pool homes for you to choose from at this fine resort. Emerald Island will make an ideal accommodation for your Orlando vacation. Driving time to Disney is less than 10 minutes with shopping and a variety of restaurants close by.